Have you ever wondered where all those punctured or patched-up bicycle inner tubes go? Where would you like to have them end up at? As an eco-conscious person, it just feels wasteful and wrong to throw out a perfectly fine tube with a couple of small holes. With cracked pavements, potholes, and broken glass from car windows on city streets, it is hard to avoid eventually getting a punctured tube. 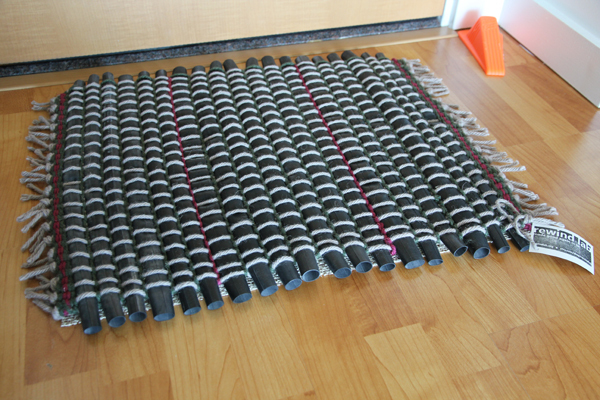 Well, I want to introduce you the Ryder rug from RewindLab which is made out of used tire tubes. I thought this was such a creative idea to reuse bike inner tubes! The tubes are reclaimed from local bike shops, and the New Zealand wool blend is rescued from production. The wool is nicely weaved to hold the tubes together, and it’s a solid piece of a rug with the tubes giving it a bouncy and soft feel. 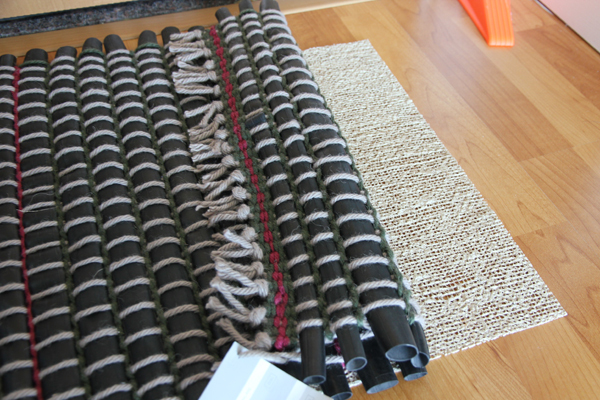 I never would have thought a rug made out of tire tubes would look anything presentable, but this Ryder rug does. It brings out the coziness and warmth to any room. 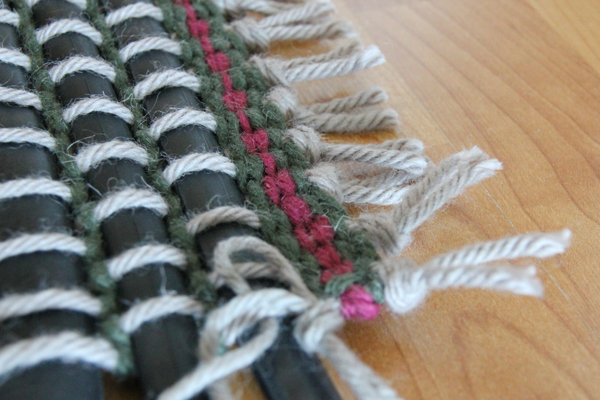 Moreover, the rug can be used on either side and comes with eco anti-slip pad. They also come in different color combinations. With even more eco-consciousness in mind, it’s made locally in the SF Bay Area! The rug can be used on either side. They currently have two sizes, 26″ x 19″ (66 cm x 48.3 cm) and 50″ x 20″ (127 cm x 50.8 cm). The smaller size is priced at $87 USD while the large size costs $158 on Etsy.com. The front doorway of my unit is pretty wide, so neither of these sizes fit. It would be nice to have a size that’s 20% wider than the current small size they have. Also, I’ve only had this rug for a couple of weeks, so I don’t really know how well it can hold up to dirt and debris over time. 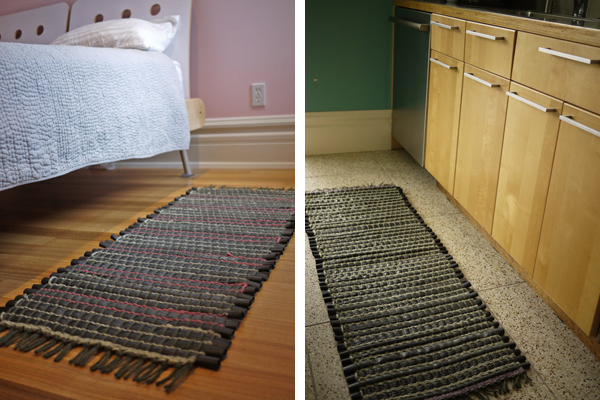 But if you ever cringe when tossing out used tubes or if you want a nice collection item to show that you are an eco-bicyclist, Ryder rug fits the bill nicely.